DONOVAN — FERRIS WHEEL – IS YOUR CLAM IN A JAM? On Sundays, IS YOUR CLAM IN A JAM? goes digging in my collection! Posted on your day of rest, these are my special songs. They have been the vessels for my musical journeys and have taken me places few others can, published here hoping they can do the same for you! This week we start with one of my all time favorite songs, Donovan’s Ferris Wheel. Donovan was initially dubbed as the Britain’s answer – nobody is sure what the question was – to Bob Dylan because they were both obsessed with Woody Guthrie. While their roots are planted in the same ground, Donovan was always more of a dreamer while Dylan a scrutinizing realist. They both went “electric” at roughly the same time but while Dylan played folk rock that told stories of the madness he was surrounded by, Donovan was in fact part of the madness. 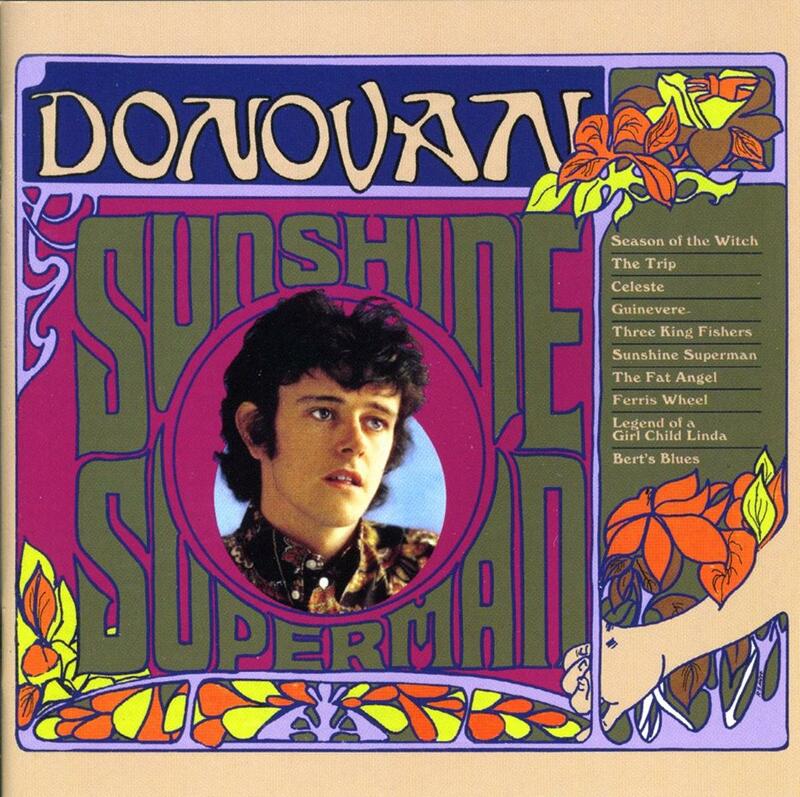 Sunshine Superman, released when he was 20 years old, is his first “electric” album. A perfect pastiche of jazz, folk, eastern ragas and blues, it foreplayed what would be come the hippie movement, it is one of the first psychedelic albums ever made. Upon release, due to bureaucratic issues with his record label, Donovan could not release his album in the UK right away. He decided to move to Paros Island in Greece with his best friend Gyp and was “living on a dollar a day and playing guitar on the beach at night”. After a few months, at the local taverna while having lunch he was told that someone from his record company had called on the island’s only phone and needed to talk to him urgently. The following day his manager informed him that Sunshine Superman was number 1 in the USA and had to come back to London right away. After an interior battle between choosing whether to live the Utopian, Bohemian life in Greece or to become a pop star, he chose the latter although never really topped the standards set by this cornerstone of an album. Ferris Wheel is the fourth song of the album and is one of the first folk/pop songs to feature tablas and a sitar. Enjoy your trip to the carnival, but take time to tie you pretty hair, the gypsy driver doesn’t care if you catch your hair on the Ferris Wheel, on top.